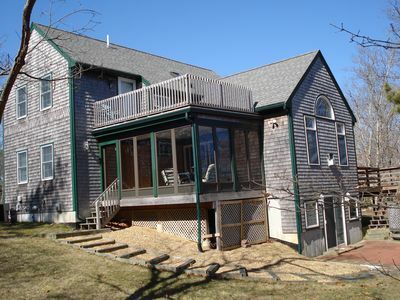 This gorgeous, contemporary air-conditioned private home is perfect for your luxurious vacation on the island. 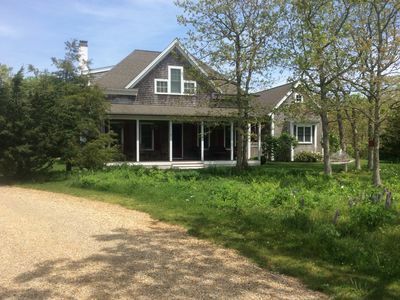 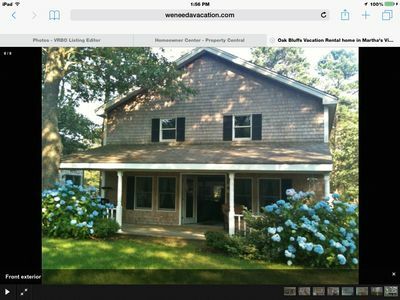 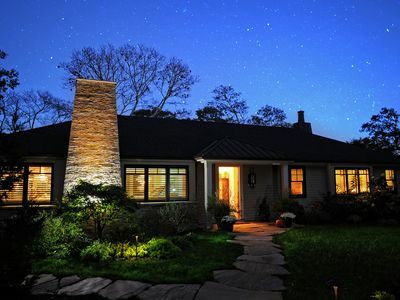 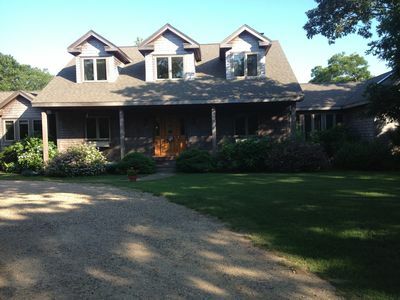 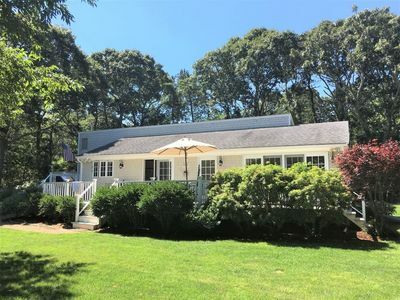 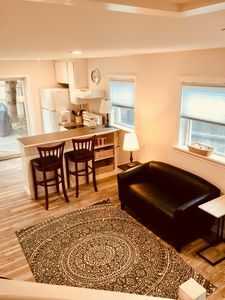 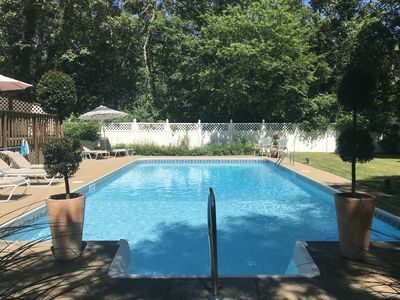 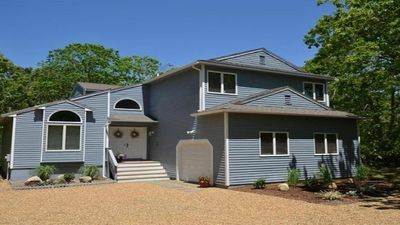 It is 2700 sq ft of well laid-out space and sits on 1.4 acres of land in a private wooded area, centrally located, only minutes from downtown Oak Bluffs and beautiful beaches. 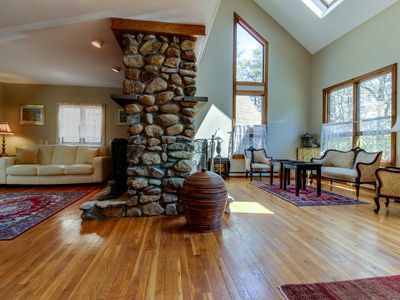 The cathedral ceiling allows spectacular natural light throughout the living area inviting all to mix and mingle. 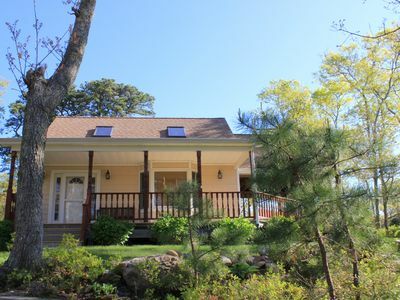 When sitting in any room in the house, the large windows allow you to enjoy the trees swaying in the wind as if you were standing in the middle of the forrest. 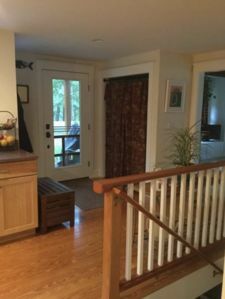 The screened in porch invites you to take a step outside for a nature walk or simply enjoy a meal with a light breeze from the yard. 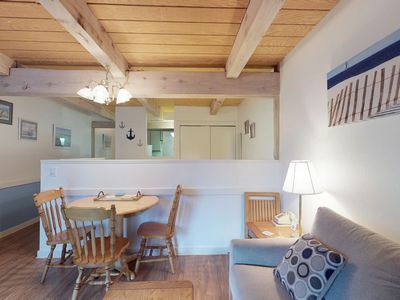 All four bedrooms have private bathrooms and one bedroom opens up onto a private balcony. 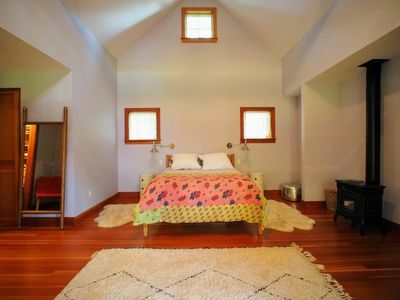 The lower floor can serve as a separate unit with it's own bed/bath, living room, and half kitchen. 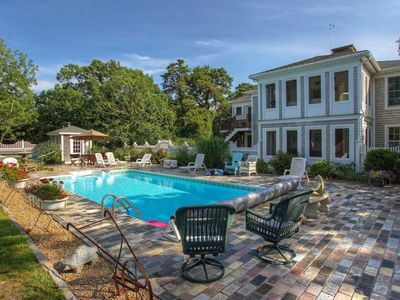 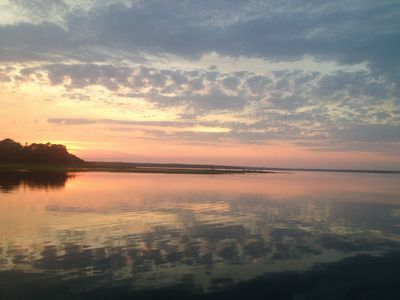 Incredible Waterfront location... Lagoon Pond with Mooring! 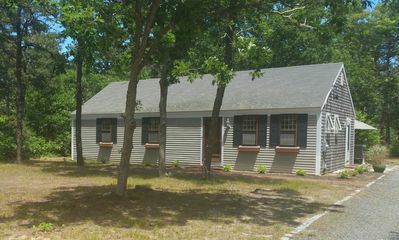 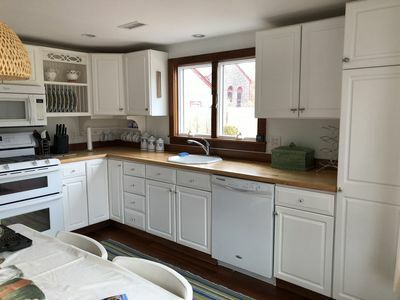 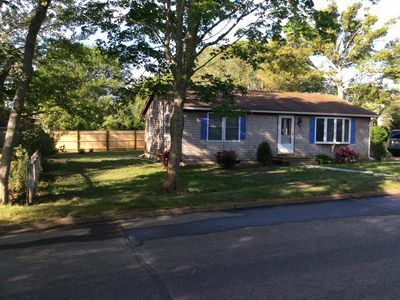 Newly Updated Family Friendly ranch in Oak Bluffs. 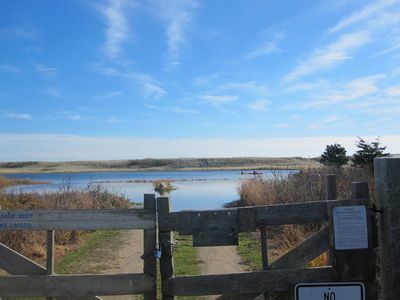 Walk to town and beach. 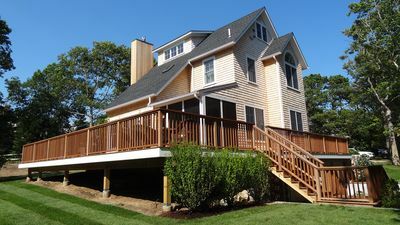 Renovated guest house that’s great for a couple get away or wedding weekend!